Snake is always dangerous whether it is poisonous or not. Maintain a safe distance from the snake or take safety precautions if you have ever to go near the snake. This video shows what happened to the person taking video of a giant wild Anaconda. Is the video scary, isn’t it? 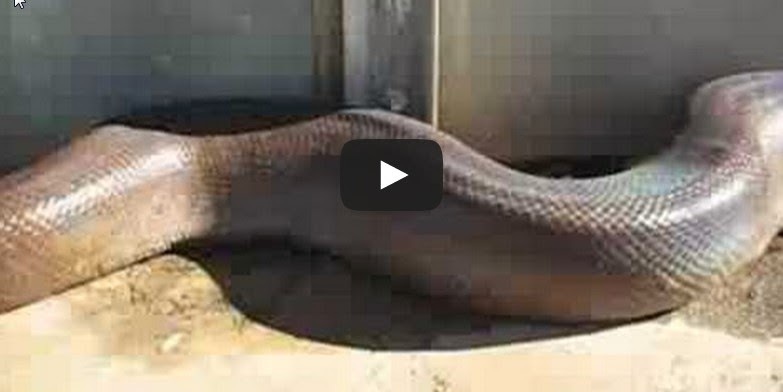 In this video, the person was capturing video of a long Anaconda starting from the tail to head. Once he reached the head part of Anaconda. He got disrupted from capturing the video because of anaconda’s reaction. Learn lessons from this video and never tries to go near a snake though it is small unless you have a proper knowledge on the snake’s behaviour.